At the start of last month I headed to Singapore for the ISSCR Regional Forum “Global Controls in Stem Cells”. I had a great time and found the meeting a big improvement on last year’s Florence meeting, due to the increase in networking opportunities. There was a lot of epigenetics at the meeting – as you’d expect given the topic focus. Several people showed the classic Waddington depiction of the epigenetic landscape and explained the need to define where in the landscape the various cell types present during human development lie, plus the different varieties of artificially engineered stem cells. It was fascinating to hear about the various different approaches being taken to address this question. I don’t have the space to discuss every talk, so here is a brief summary of the sessions and some of the talks. The first keynote of the meeting was from Rudolf Jaenisch. He started by talking about naïve versus primed embryonic stem cells (ESCs) and whether there is a single human naïve state. He then moved on to talk about finding disease-relevant phenotypes, for example using patient-derived induced pluripotent stem cells (iPSCs). He particularly focused on the need for an appropriate control, he favours an isogenic control to control for genetic background. The first session was focused on reprogramming, with various researchers talking about their attempts to improve reprogramming and to dissect reprogramming pathways. Jonathan Loh talked about the miniaturised reprogramming system using 384 well plates his group has developed to aid this process. Hongkui Deng finished the morning talks with a fantastic talk about reprogramming human fibroblasts to hepatocytes with drug metabolic function. Up until now reprogrammed hepatocytes have lacked this function, which is so important if hepatocytes derived in this way are going to be used for drug screening. After lunch there was a session on chromatin dynamics. Bing Ren focused on the functional analysis of transcriptional enhancers and developing a new way to look at gene regulation from a 3D point of view. Sung Hee Baek talked about chromatin modifiers in epigenetic control of cancer and stem cells. Ken Zaret talked about the initiation of cell reprogramming, specifically his efforts to identify “Pioneer factors”, these bind to target genes that will turn on later. The final talk in this session was from Ralf Huss, about using stem cells as drug delivery tools in cancer therapy, due to their propensity to home in on the tumour. The first session of day 2 was devoted to the developmental biology of pluripotency. Ron McKay, one of the conference organisers, spoke on the need to understand the functional identity of human genomes. Many early lineage cell types can be grown, and the human ESC are all quite different. This variation needs to be understood. 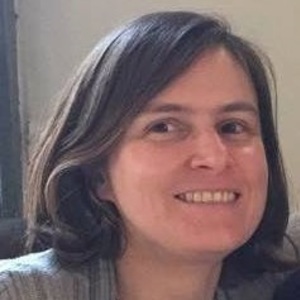 Sara-Jane Dunn talked about her computational work modelling pluripotency, an alternative approach to investigating this biological phenomena. The first session after lunch was on Telomere and RNA biology. V. Narry Kim spoke first. The main focus of her lab is miRNA regulation, but in this talk she talked about RNA-binding proteins in ESC. Next up was Didier Trono who talked about how transposable elements and their epigenetic control mechanisms are key regulators of transcriptional networks in PSCs. Yue Wan talked about the importance of RNA structure in determining RNA function, and the need to learn more about RNA structure. Toshio Suda talked about the aging of hematopoietic stem cells. Stem cells are long lived, and they do change as they age. He talked about the different characteristics of “elderly” stem cells. The first session of Friday morning was focused to Functional Genomics. Huck Hui Ng gave the first talk, on his work investigating the systems biology of stem cells. Andras Nagy talked about his groups attempts to produce a stable pluripotent cell quite different from ESCs. Frank Buchholz talked about using RNA screens to find modulators and regulators of the pluripotent state. After lunch there was a Cancer session, covering a wide variety of aspects. Richard Young started the session with a talk about the roles of transcriptional super-enhancers in cell identity and cancer. Zsuzsanna Izavak talked about her recent Nature paper on transcription driven by primate-specific endogenous retrovirus HERVH in naïve stem cells. The HERV driven network partially explains differences in mouse and human stem cells. The significant differences between mouse and human stem cells were mentioned by several of the speakers throughout the conference. Jesse Smith talked about gene transcription inhibitors as potential cancer therapeutics. The rationale being that cancer can be viewed as a disease of de-differentiation, i.e. dysregulated gene transcription. Yukiko Gotoh talked about regulation of neural stem / progenitor cell fate in the embryonic and adult mouse brain. The basic premise of her work is that embryonic neural stem cells build a brain, whilst adult neural stem cells have a very different role, e.g. in learning and memory. Janet Rossant gave the closing keynote lecture. She talked about cells in early embryo development and studies looking at when developmental potential is lost, comparing the mouse and human embryo. She also emphasised the differences between mouse and human early embryo development, and the importance of remembering this when studying stem cells. I very much enjoyed my time in Singapore – it really is a beautiful city. I attended the night safari on the conference networking trip, which was great fun and a really unique experience. I even managed to secure a gift for my children left at home – a lego “Mr Stem Cell” so I can introduce them to the delights of stem cells at an early age!